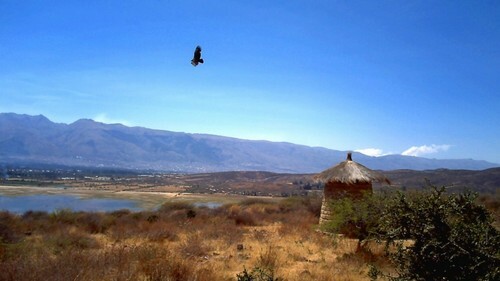 In the south of Quillacollo, in the surrounding hills of lake Cotapachi, you will find one of the most important archaeological Inca sites of Bolivia. 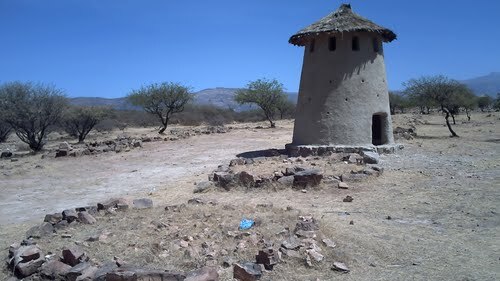 Sites of this kind were called Collcas by the Incas, and it discribes a huge complex of silos to collect the corn which was produced in the region. The Collcas of Cotapachi are established in three areas of these hills - being the biggest of its kind in the whole Inca empire, with approximately 2.500 collcas o silos. This detail is quite important to know because we should not forget that the capital of the Inca empire was Cusco where there was all the power and all the huge temples and buildings, and it did not exist any comparable complex of silos of this kind. The collcas of Cotapachi are contructed in-lines from north to south in an area of approx. 61 hectares. 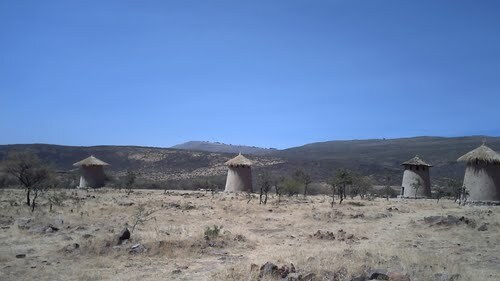 Its base was originally a circle of stones, with a three metres high cone-shaped structure of basket weaving stabilized with mud, and a thatched roof. In this area the climatical conditions are perfect, as there is a constant wind, perfect for the protection of the corn.